The UK RC Drift Championship 2016 took place at RC Modelshop Direct’s fantastic indoor track. The logo was used on all media, from tshirts, posters, car decals, banners etc. 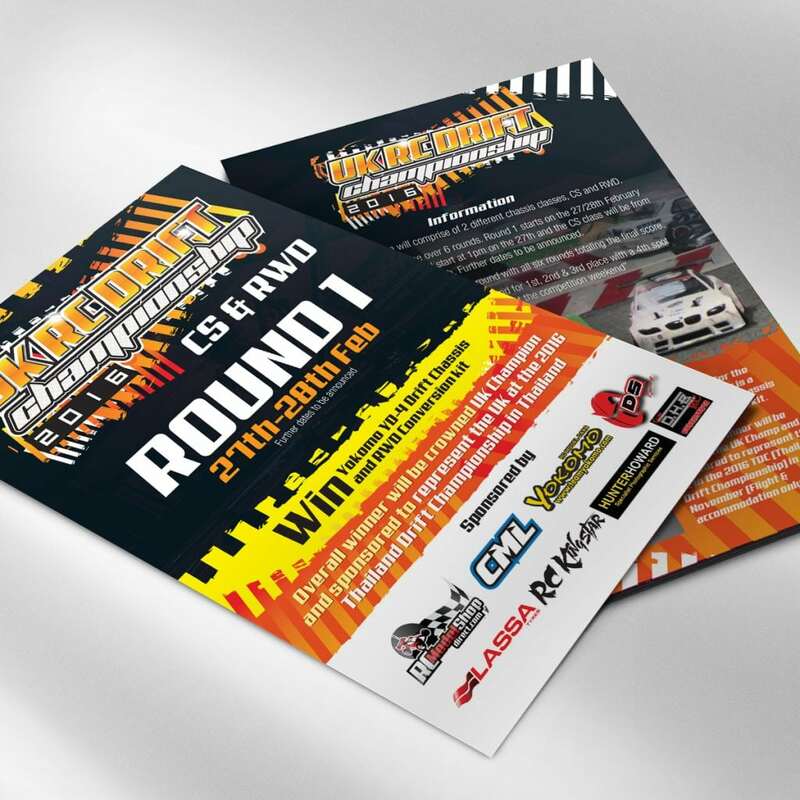 The flyer used to entice competitors of all levels and help to promote the first round. The logo and brand was was very successful, so much so, that the same brand was used for the 2017 championships too!